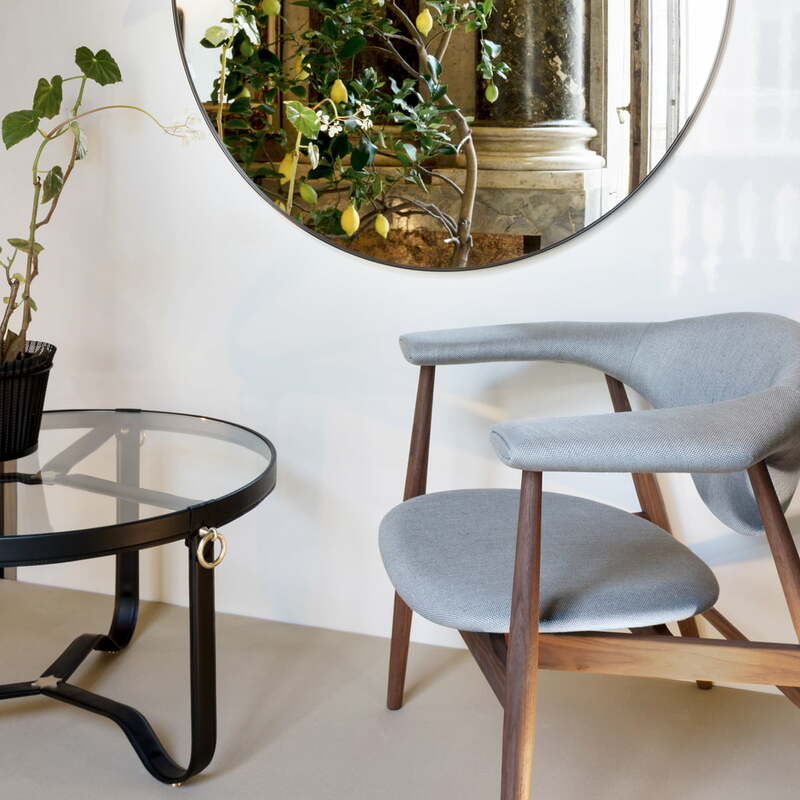 Matching the popular Adnet mirror by Gubi, the Adnet coffee table now appears in the same style. Designed in the 1950's by the Frenchman Jacques Adnet, it was hardly available for a long time. Gubi is now releasing Adnet's pieces in a new edition and making them accessible to private households. 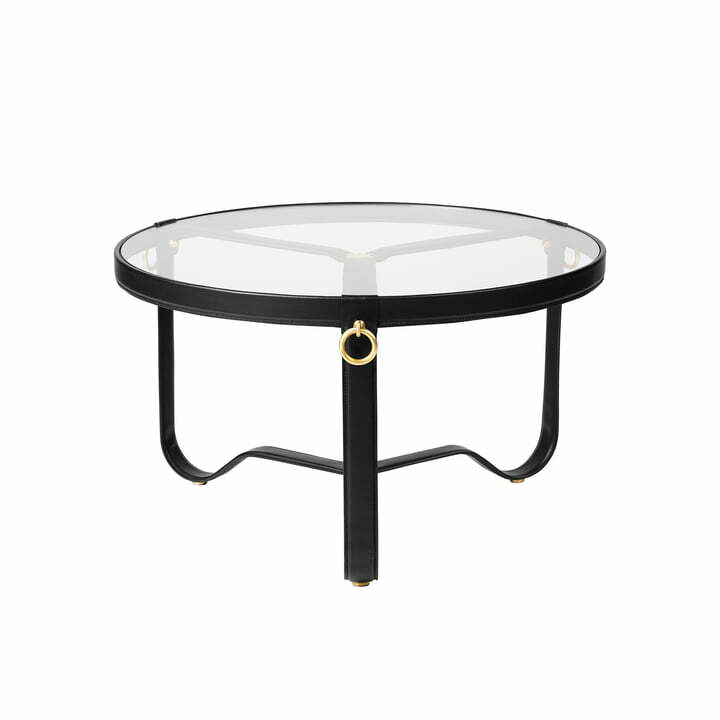 The Adnet coffee table is distinguished by its robust yet elegant appearance - a combination that creates a special eye-catcher in any setting. The round table top made of thick glass is supported by a leather-covered tripod frame, which gives the overall appearance a baroque touch. Golden details and fittings round the design off skillfully an provide elegance to the piece. The contrast between the modern glass and the classic leather items is particularly exciting. 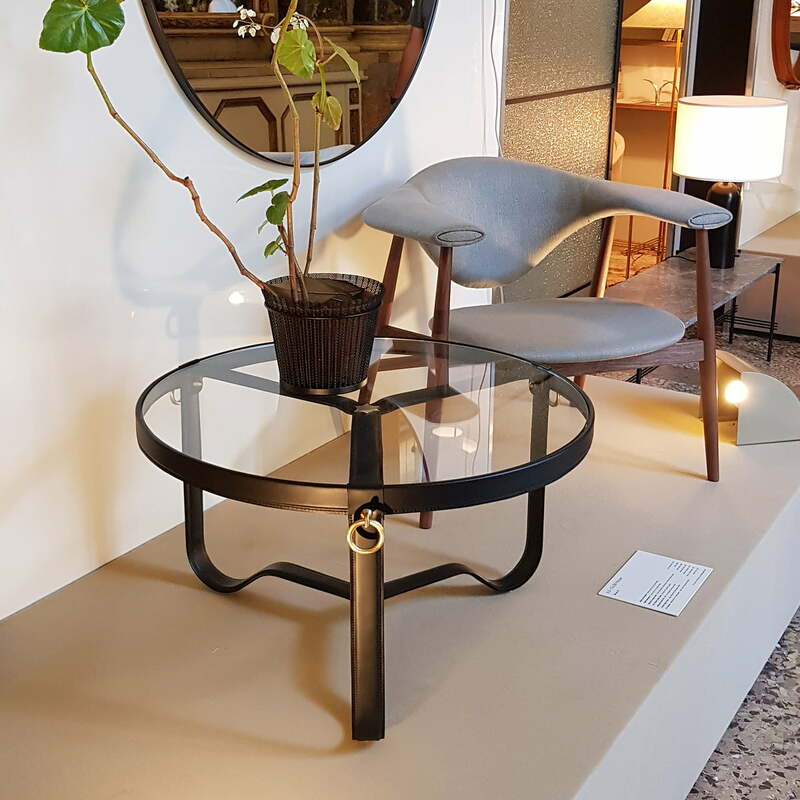 As a result, the Adnet coffee table fits into a variety of furnishing styles and appears stylish as well as luxurious, particularly in front of the sofa or near the armchair. 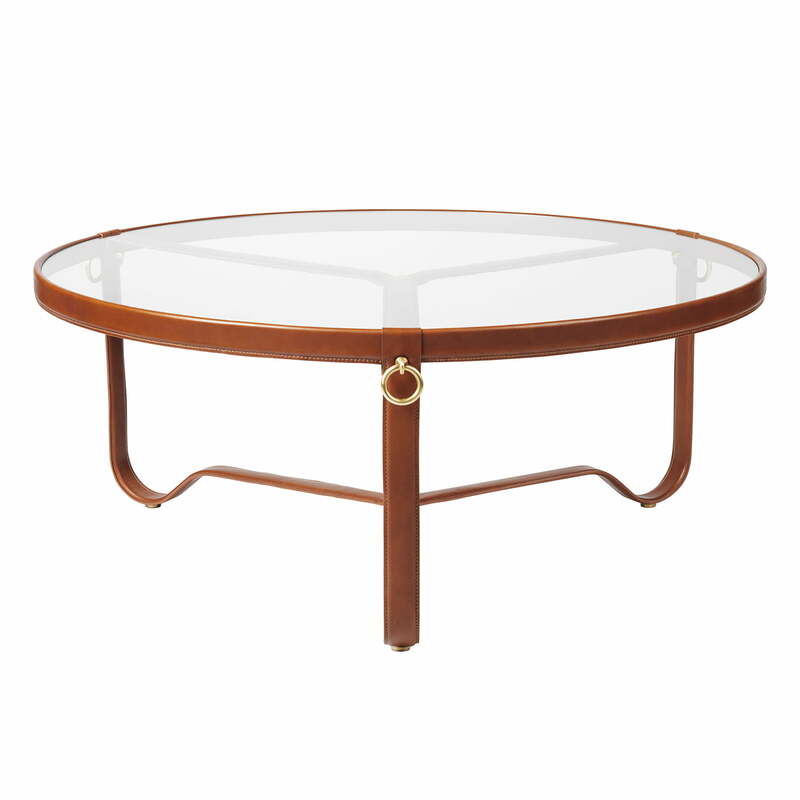 The Adnet coffee table is available with various diameters, as well as covered in black and a brown leather.